Andrew Read became a scientist so he could spend more time in nature, but he never imagined that would mean a commercial chicken farm. Read, a disease ecologist who directs the Pennsylvania State University Center for Infectious Disease Dynamics, and his research assistant Chris Cairns meandered their way through a hot, humid, pungent-smelling barn teeming with 30,000 young broiler chickens deep in the Pennsylvania countryside. Covered head to toe in white coveralls, the two men periodically stopped and crouched, collecting dust from the ground with gloved hands. Birds squawked and scuttered away. The men transferred the dust into small plastic tubes, which they capped and placed in plastic bags to bring back to the laboratory. Funny where science leads you, Read said. Read and his colleagues are studying how the herpesvirus that causes Mareks disease  a highly contagious, paralyzing and ultimately deadly ailment that costs the chicken industry more than $2 billion a year  might be evolving in response to its vaccine. Its latest vaccine, that is. Mareks disease has been sickening chickens globally for over a century; birds catch it by inhaling dust laden with viral particles shed in other birds feathers. The first vaccine was introduced in 1970, when the disease was killing entire flocks. It worked well, but within a decade, the vaccine mysteriously began to fail; outbreaks of Mareks began erupting in flocks of inoculated chickens. A second vaccine was licensed in 1983 in the hopes of solving the problem, yet it, too, gradually stopped working. Today, the poultry industry is on its third vaccine. It still works, but Read and others are concerned it might one day fail, too  and no fourth-line vaccine is waiting. Worse, in recent decades, the virus has become more deadly. Read and others, including researchers at the U.S. Department of Agriculture, posit that the virus that causes Mareks has been changing over time in ways that helped it evade its previous vaccines. The big question is whether the vaccines directly incited these changes or the evolution happened, coincidentally, for other reasons, but Read is pretty sure the vaccines have played a role. In a 2015 paper in PLOS Biology, Read and his colleagues vaccinated 100 chickens, leaving 100 others unvaccinated. They then infected all the birds with strains of Mareks that varied in how virulent  as in how dangerous and infectious  they were. The team found that, over the course of their lives, the unvaccinated birds shed far more of the least virulent strains into the environment, whereas the vaccinated birds shed far more of the most virulent strains. The findings suggest that the Mareks vaccine encourages more dangerous viruses to proliferate. This increased virulence might then give the viruses the means to overcome birds vaccine-primed immune responses and sicken vaccinated flocks. Most people have heard of antibiotic resistance. Vaccine resistance, not so much. Thats because drug resistance is a huge global problem that annually kills nearly 25,000 people in the United States and in Europe, and more than twice that many in India. Microbes resistant to vaccines, on the other hand, arent a major menace. Perhaps they never will be: Vaccine programs around the globe have been and continue to be immensely successful at preventing infections and saving lives. Immunization is also making once-rare or nonexistent genetic variants of pathogens more prevalent, presumably because vaccine-primed antibodies cant as easily recognize and attack shape-shifters that look different from vaccine strains. And vaccines being developed against some of the worlds wilier pathogens  malaria, HIV, anthrax  are based on strategies that could, according to evolutionary models and lab experiments, encourage pathogens to become even more dangerous. Yet dont mistake these findings as evidence that vaccines are dangerous or that they are bound to fail  because undesirable outcomes can be thwarted by using our knowledge of natural selection, too. Evolution might be inevitable, but it can be coaxed in the right direction. That said, many vaccines dont provide lifelong immunity, for a variety of reasons. A new flu vaccine is developed every year because influenza viruses naturally mutate quickly. Vaccine-induced immunity can also wane over time. After being inoculated with the shot for typhoid, for instance, a persons levels of protective antibodies drop over several years, which is why public health agencies recommend regular boosters for those living in or visiting regions where typhoid is endemic. Research suggests a similar drop in protection over time occurs with the mumps vaccine, too. Viruses and bacteria change quickly in part because they replicate like mad. Three days after a bird is bitten by a mosquito carrying West Nile virus, one milliliter of its blood contains 100 billion viral particles, roughly the number of stars in the Milky Way. And with each replication comes the opportunity for genetic change. When an RNA virus replicates, the copying process generates one new error, or mutation, per 10,000 nucleotides, a mutation rate as much as 100,000 times greater than that found in human DNA. Viruses and bacteria also recombine, or share genetic material, with similar strains, giving them another way to change their genomes rapidly. Just as people  with the exception of identical twins  all have distinctive genomes, pathogen populations tend to be composed of myriad genetic variants, some of which fare better than others during battles with vaccine-trained antibodies. The victors seed the pathogen population of the future. The bacteria that cause pertussis, better known as whooping cough, illustrate how this can happen. In 1992, recommendations from the U.S. Centers for Disease Control and Prevention (CDC) began promoting a new vaccine to prevent the infection, which is caused by bacteria called Bordetella pertussis. The old vaccine was made using whole killed bacteria, which incited an effective immune response but also caused rare side effects, such as seizures. The new version, known as the acellular vaccine, contained just two to five outer membrane proteins isolated from the pathogen. Studies have since backed up this idea. In a 2014 paper published in Emerging Infectious Diseases, researchers in Australia, led by the medical microbiologist Ruiting Lan at the University of New South Wales, collected and sequenced B. pertussis samples from 320 patients between 2008 and 2012. The percentage of bacteria that did not express pertactin, a protein targeted by the acellular vaccine, leapt from 5 percent in 2008 to 78 percent in 2012, which suggests that selection pressure from the vaccine was enabling pertactin-free strains to become more common. In the U.S., nearly all circulating viruses lack pertactin, according to a 2017 CDC paper. I think pretty much everyone agrees pertussis strain variation is shaped by vaccination, Lan said. Hepatitis B, a virus that causes liver damage, tells a similar story. The current vaccine, which principally targets a portion of the virus known as the hepatitis B surface antigen, was introduced in the U.S. in 1989. A year later, in a paper published in the Lancet, researchers described odd results from a vaccine trial in Italy. They had detected circulating hepatitis B viruses in 44 vaccinated subjects, but in some of them, the virus was missing part of that targeted antigen. Then, in a series of studies conducted in Taiwan, researchers sequenced the viruses that infected children who had tested positive for hepatitis B. They reported that the prevalence of these viral escape mutants, as they called them, that lacked the surface antigen had increased from 7.8 percent in 1984 to 23.1 percent in 1999. A new vaccine called Prevnar 7 was soon to be recommended for all U.S. children to prevent infections caused by Streptococcus pneumoniae, bacteria responsible for many cases of pneumonia, ear infections, meningitis and other illnesses among the elderly and young children. To date, scientists have discovered more than 90 distinct S. pneumoniae serotypes  groups that share distinctive immunological features on their cell surface  and Prevnar 7 targeted the seven serotypes that caused the brunt of serious infections. But Hanage, along with researchers, wondered what was going to happen to the more than 80 others. It struck me, with my almost complete lack of formal training in evolutionary biology, that this was an extraordinary evolutionary experiment, he said. Hanage teamed up with Marc Lipsitch, an epidemiologist and microbiologist who had recently left Emory University for Harvard, and together the scientists  now both at Harvard  have been watching the pneumococcal population adapt to this new selection pressure. They and others have reported that while Prevnar 7 almost completely eliminated infections with the seven targeted serotypes, the other, rarer serotypes quickly swept in to take their place, including a serotype called 19A, which began causing a large proportion of serious pneumococcal infections. In response, in 2010, the U.S. introduced a new vaccine, Prevnar 13, which targets 19A and five additional serotypes. Previously unseen serotypes have again flourished in response. A 2017 paper in Pediatrics compared the situation to a high-stakes game of whack-a-mole. In essence, vaccination has completely restructured the pathogen population, twice. One can think about vaccination as a kind of sieve, argues Troy Day, a mathematical evolutionary biologist at Queens University in Ontario, Canada. This sieve prevents many pathogens from passing through and surviving, but if a few squeeze by, those in that nonrandom sample will preferentially survive, replicate and ultimately shift the composition of the pathogen population. The ones squeezing through might be escape mutants with genetic differences that allow them to shrug off or hide from vaccine-primed antibodies, or they may simply be serotypes that werent targeted by the vaccine in the first place, like lucky criminals whose drug dens were overlooked during a night of citywide police raids. Either way, the vaccine quietly alters the genetic profile of the pathogen population. 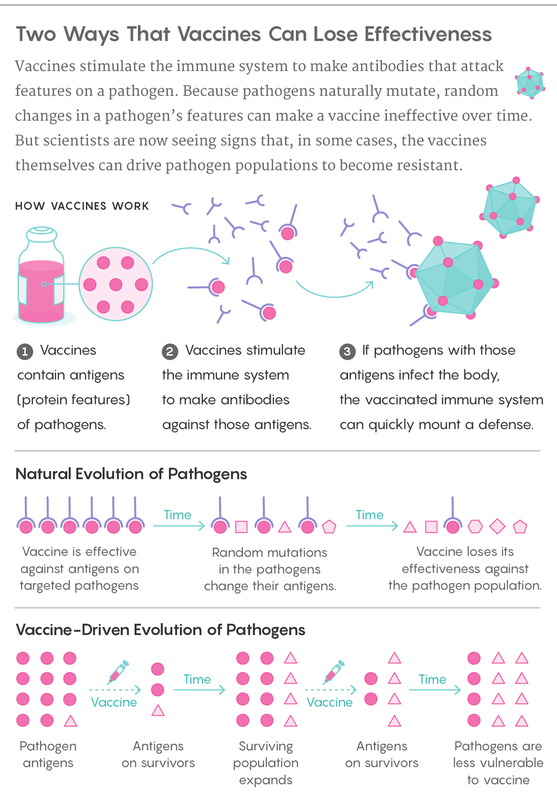 Just as pathogens have different ways of infecting and affecting us, the vaccines that scientists develop employ different immunological strategies. Most of the vaccines we get in childhood prevent pathogens from replicating inside us and thereby also prevent us from transmitting the infections to others. But scientists have so far been unable to make these kinds of sterilizing vaccines for complicated pathogens like HIV, anthrax and malaria. To conquer these diseases, some researchers have been developing immunizations that prevent disease without actually preventing infections  what are called leaky vaccines. And these new vaccines may incite a different, and potentially scarier, kind of microbial evolution. Virulence, as a trait, is directly related to replication: The more pathogens that a persons body houses, the sicker that person generally becomes. A high replication rate has evolutionary advantages  more microbes in the body lead to more microbes in snot or blood or stool, which gives the microbes more chances to infect others  but it also has costs, as it can kill hosts before they have the chance to pass on their infection. The problem with leaky vaccines, Read says, is that they enable pathogens to replicate unchecked while also protecting hosts from illness and death, thereby removing the costs associated with increased virulence. Over time, then, in a world of leaky vaccinations, a pathogen might evolve to become deadlier to unvaccinated hosts because it can reap the benefits of virulence without the costs  much as Mareks disease has slowly become more lethal to unvaccinated chickens. This virulence can also cause the vaccine to start failing by causing illness in vaccinated hosts. In addition to Mareks disease, Read has been studying malaria, which is the target of several leaky vaccines currently in development. In a 2012 paper published in PLOS Biology, Read and Vicki Barclay, his postdoc at the time, inoculated mice with a component of several leaky malaria vaccines currently being tested in clinical trials. They then used these infected-but-not-sick mice to infect other vaccinated mice. After the parasites circulated through 21 rounds of vaccinated mice, Barclay and Read studied them and compared them to malaria parasites that had circulated through 21 rounds of unvaccinated mice. The strains from the vaccinated mice, they found, had grown far more virulent, in that they replicated faster and killed more red blood cells. At the end of 21 rounds of infection, these more quickly growing, deadly parasites were the only ones left. If this all sounds terribly scary, keep a few things in mind. Many pathogens, including measles, do not seem to be evolving as a population in response to their vaccines. Second, experimental data from a lab, such as the malaria study described above, dont necessarily predict what will happen in the much more complex landscape of the real world. And third, researchers concerned with vaccine-driven evolution stress that the phenomenon is not in any way an argument against vaccination or its value; its just a consequence that needs to be considered, and one that can potentially be avoided. By thinking through how a pathogen population might respond to a vaccine, scientists can potentially make tweaks before it happens. They might even be able to design vaccines that encourage pathogens to become less dangerous over time. In March 2017, Read and his Penn State colleague David Kennedy published a paper in the Proceedings of the Royal Society B in which they outlined several strategies that vaccine developers could use to ensure that future vaccines dont get punked by evolutionary forces. One overarching recommendation is that vaccines should induce immune responses against multiple targets. A number of successful, seemingly evolution-proof vaccines already work this way: After people get inoculated with a tetanus shot, for example, their blood contains 100 types of unique antibodies, all of which fight the bacteria in different ways. In such a situation, it becomes much harder for a pathogen to accumulate all the changes needed to survive. It also helps if vaccines target all the known subpopulations of a particular pathogen, not just the most common or dangerous ones. Richard Malley and other researchers at Boston Childrens Hospital are, for instance, trying to develop a universal pneumococcal vaccine that is not serotype-specific. Vaccines should also bar pathogens from replicating and transmitting inside inoculated hosts. One of the reasons that vaccine resistance is less of a problem than antibiotic resistance, Read and Kennedy posit, is that antibiotics tend to be given after an infection has already taken hold  when the pathogen population inside the host is already large and genetically diverse and might include mutants that can resist the drugs effects. Most vaccines, on the other hand, are administered before infection and limit replication, which minimizes evolutionary opportunities. But the most crucial need right now is for vaccine scientists to recognize the relevance of evolutionary biology to their field. Last month, when more than 1,000 vaccine scientists gathered in Washington, D.C., at the World Vaccine Congress, the issue of vaccine-induced evolution was not the focus of any scientific sessions. Part of the problem, Read says, is that researchers are afraid: Theyre nervous to talk about and call attention to potential evolutionary effects because they fear that doing so might fuel more fear and distrust of vaccines by the public  even though the goal is, of course, to ensure long-term vaccine success. Still, he and Kennedy feel researchers are starting to recognize the need to include evolution in the conversation. I think the scientific community is becoming increasingly aware that vaccine resistance is a real risk, Kennedy said. What struck me was that younger people "may be" better able to survive mutated Flu, but that adults or elderly may not. A disease spread by children, that kills the elderly or middle aged would be ideal for some people. Invent this pathogen, and think of the money it would save, and of course more free time for the younger people to maybe write a book, paint a fabulous work of art, or vacation in the sun? YES, the last sentence was tongue in cheek. A society that will murder its own babies, will not flinch at the early deaths of those who may burden them mentally or physically in the future. Just as antibiotics have bred resistance in bacteria, vaccines can potentially lose their effectiveness over diseases they controlled. You may recall that I mentioned that I am going for an MMR shot tomorrow morning. The MMR of the late Fifties is often ineffective after decades. If you had any MMR shot before 1960, you may not have full immunity (and are therefore relying on herd immunity to protect you). Beyond that, I never had the mumps vaccine for some reason. And it has always worried me, the idea of dying as an adult of something as stupid as the mumps. But it does happen. I don't think a year has gone by without me spending at least a few minutes worrying over my lack of a mumps shot from childhood. I should worry that I never had a TB shot but I'm told they no longer give those unless you're going overseas or have a known TB hazard in your area or where you plan to travel. It's a case where they stopped vaccinating because the shots made more people sick than would actually get seriously ill with the disease. This happens in Vaccine World. We are very near that point in stopping polio shots, just as we killed smallpox worldwide and stopped those vaccinations decades back. So I'm getting a modern MMR shot in the morning and therefore I'll almost certainly be dead by noon, another vaccine fatality that Deckard worries so much about. He'll be so happy when I'm dead. You'd better say goodbye to me tonight, before I rush to the clinic like a lemming for a free MMR shot. Yes, I actually talked them into giving it to me for free and it worked out that they could. Deckard: "2kon got that free MMR vaccine he lusted after. But the price was his life!" It sounds just like the punch line from a Chick tract, doesn't it? Well, I got the MMR Injection Of Death. Feeling cocky, I ordered a few tacos after. So far, I only feel fatally ill. I'll keep you posted when Death starts knocking at my door. Hoping and praying that you don't turn into a vegetable like Gatlin, and start posting really stupid stuff. Hoping and praying that you don't...start posting really stupid stuff. I can't even feel where the nurse gave the shot in the back of the arm. Obviously, the numbness and paralysis is spreading. She was skilled though, I felt almost nothing and she had that needle in and out in a quarter-second. Very fast and painless. You can tell they train these nurses to do it so quick so babies don't have a chance to start crying and making a fuss. It's over with before it even really registers with you. I ordered a few tacos after. You are wayy too strong to die. Yep. I'm surprised you know of them. I looked at their location map and they are concentrated primarily in WI/MN/MT/ND/WY/SD/CO/NE/KS. They only have 2 in Ohio. Apparently, you know your taco franchises. We had one of those up here for a while back in the 80s. Closest one now is in Rhinelander Wisconsin. Taco John's has Taco Tuesday, at least in my area. 99¢ hard shell tacos on Tuesdays. All the cheapskates flock to it. Two hard shell tacos and a small bucket of Oles (a tater tot the size of 5 quarters stacked up) for $4.03. It's plenty to fill you up and you can't get lunch any cheaper. And I am cheap. That said, it seems the MMR shot I got yesterday was puny and weak and so I may last the day before succumbing to the Vaccine Of Death. I just assumed the thimerosol would kill me in less than 24 hours. No inflammation or bump or tenderness at the injection site on the back of my right arm. I'll continue to fight for my life and keep you posted. Here's a list of WI towns with one, several towns have more than one. Was 79 cents here in the eighties when I was in college. Heck of a deal. My keyboard doesn't have a symbol for cents. How did you do that? You can find an old HTML4 list of these at https://ascii.cl/htmlcodes.htm. There are some handy ones. The list is not complete though, I notice at the end of the list that they give a numerical one for the trademark symbol but you can also just use ampersand+'trade;' like This. They give a division symbol ÷ as ampersand+'divide;'. They have pound/euro/yen as £, , ¥. 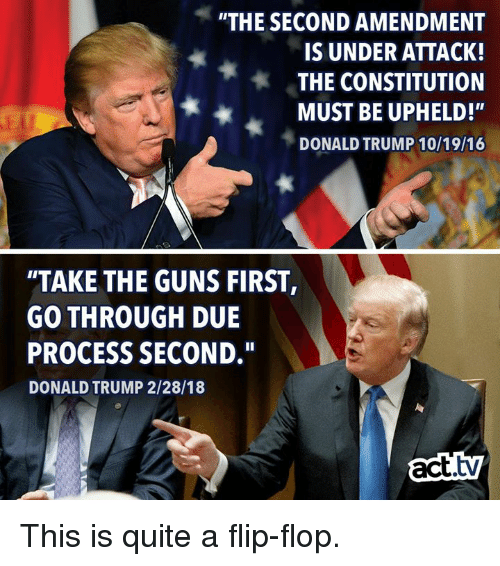 So some are easy to recall without looking them up. And all the foreign language characters are pretty handy if you want an umlauted vowel for German or Scandinavian words or some accented vowels for French. I should search out a new list for HTML5, no doubt they've changed some of these by now. Use an ampersand followed by 'cent;'. Just found aound another way - hold down the Alt key and. then press 0 1 6 2 on the numeric keypad on the right side of your keyboard then release. Yours is a keyboard trick. Those Alt codes have been around since DOS days, probably before. Mine is an HTML encoding. But they are related. The cent sign is ASCII code #162. So you can use the Alt+0162 to insert a cent sign via keyboard. Or you can use a numeric HTML code of ampersand+'162;' to get the symbol. And the ampersand+'cent;' is just a easy-to-remember version of the same thing. I only ate their once. I remember seeing quite a few when me and my brother drove out to Yellowstone. Mostly Taco Bell around here. In fact I've never seen any of those Taco Johns in Ohio. Athens and Bellville, according to the TJ website. Maybe I'm just too used to them but I like them better than Taco Bell and the other taco shacks.